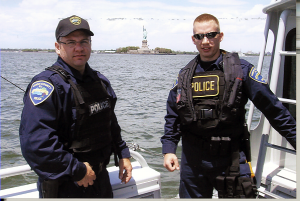 The Union County Police Department Special Operations Unit is comprised of officers from the departments patrol division. SOU officers have been trained in basic warrant service, high risk entry, handcuffing, ground fighting, breaching, active shooter response, and advanced weapon skills. Union County SOU officers are qualified with and carry police carbines and police service rifles. SOU officers also have rifle grade ballistic protection, Kevlar helmets, and ballistic shields. SOU officers carry this upgraded equipment and weaponry with them on patrol. This equipment and training will give the Union County Police Department fast responding officers with enhanced public safety capabilities. The SOU is capable to respond within minutes to an active shooter incident, warrant execution, public property protection, UC jail or Juvenile detention disturbances, or to assist other Police Departments with serious incidents. This unit will be capable of providing containment of a situation until arrival of the Union County Emergency Response Team/ SWAT. The unit consists of a commander, deputy commander, and two squads. Each SOU squad consists of a team leader and squad officers. The UCPD Special Operations Unit is designed to enhance the patrol response to dangerous situations to assist the public, local law enforcement, and the County Police keep the County of Union a safe place.